The Ashe County Arts Council is pleased to bring the internationally known performing trio the Kruger Brothers to the stage of the Ashe Civic Center on Saturday, February 16, 2019 at 7:30 pm. 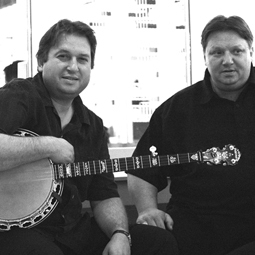 The Kruger Brothers are based in North Carolina and have performed at many regional traditional and bluegrass festivals. Kruger Brothers performances are exciting, calming, entertaining and spontaneous, reflecting their sheer joy in playing music. Their virtuoso playing combined with the manner in which they interact with each other and with their audience makes their music uniquely special. The Kruger Brothers’ musical style defies definition, encompassing all styles of music, through their personal individual development, classical European musical influences and love of the American spirit. Combine it all together and the result is what can only be described as new American music. Tickets for the Kruger Brothers concert are $25 adults and $5 students for reserved seating and are available at the Ashe Arts Center or by phone with a credit card at 336-846-ARTS. $25https://highcountryhost.com/images/events/Kruger Brothers Ashe Civic Center.jpgKruger BrothersKruger Brothers2019-02-16 19:30:002019-02-16 21:30:00Ashe Civic CenterAshe Civic CenterThe Ashe County Arts Council is pleased to bring the internationally known performing trio the Kruger Brothers to the stage of the Ashe Civic Center on Saturday, February 16, 2019 at 7:30 pm. The Kruger Brothers are based in North Carolina and have performed at many regional traditional and bluegrass festivals. Kruger Brothers performances are exciting, calming, entertaining and spontaneous, reflecting their sheer joy in playing music. Their virtuoso playing combined with the manner in which they interact with each other and with their audience makes their music uniquely special. The Kruger Brothers’ musical style defies definition, encompassing all styles of music, through their personal individual development, classical European musical influences and love of the American spirit. Combine it all together and the result is what can only be described as new American music. Tickets for the Kruger Brothers concert are $25 adults and $5 students for reserved seating and are available at the Ashe Arts Center or by phone with a credit card at 336-846-ARTS.